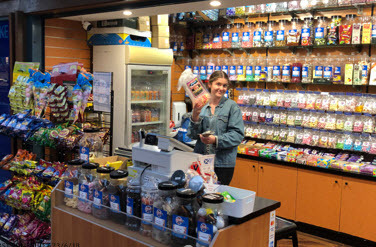 For the past year, Hannah has worked for The British Sweet Shop and has impressed week in week out. Previously to working for us, she worked at the shop prior to our take over, we couldn’t be happier with development in Hannah and we are enjoying watching her grow. With all this being said this week she turned 16 years old an to celebrate she is working her first full solo shift. It is only upwards from here for Hannah she has just completed her nursing course an is looking to start studying full-time we look forward to supporting Hannah and watching her develop. In other news this week we are expecting a new container to land with fresh new stock and the arrival of natural liquorice sticks witch we haven’t seen since December last year. We hope to see some of our locals down soon and if you haven’t been to see us before or its just been a long time come down and look to see what’s in store.